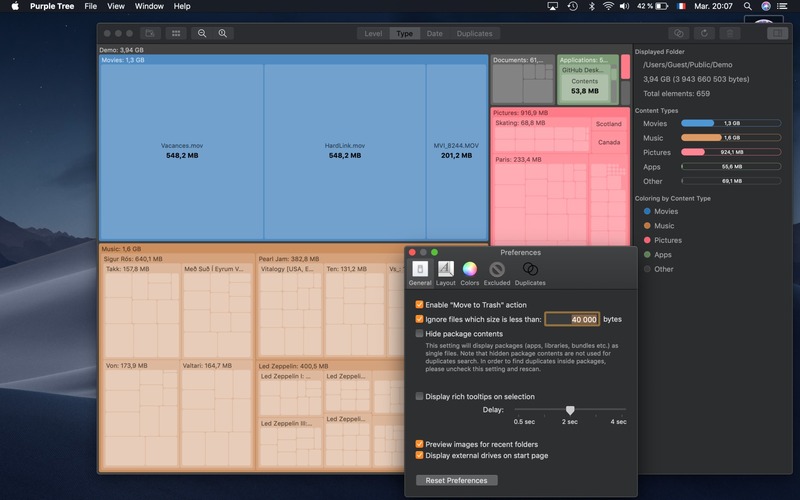 Visualization utility for your hard drive space usage. Is there a better alternative to Purple Tree? Is Purple Tree really the best app in Storage category? Will Purple Tree work good on macOS 10.13.4? 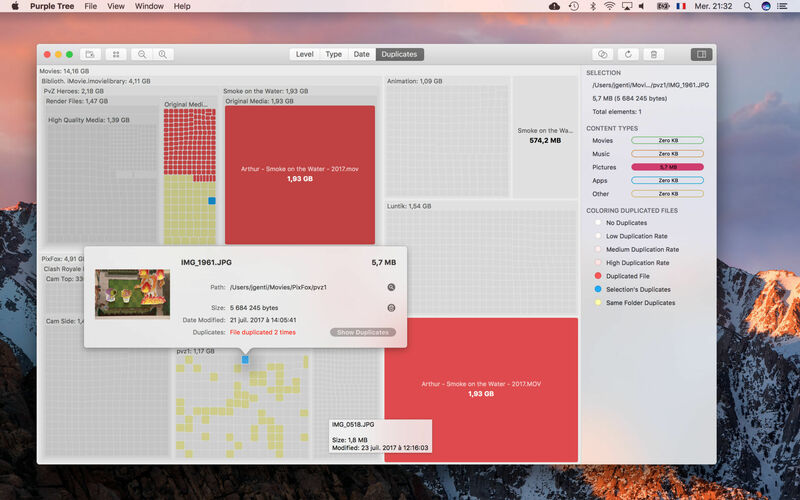 Purple Tree is a visualization utility for your hard drive space usage. 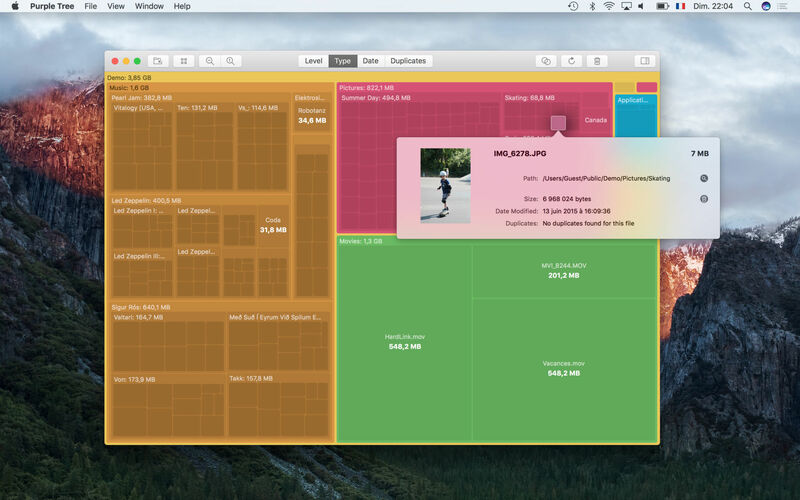 The tree map display allows you to see all your large folders and files at a glance! 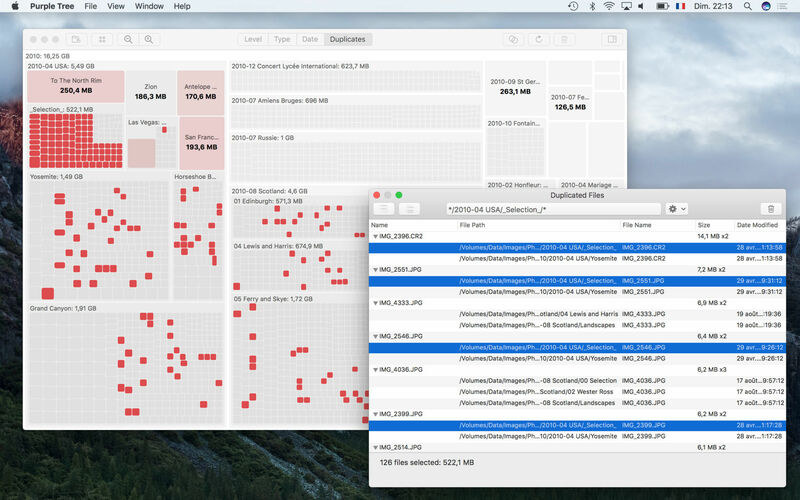 You can visually compare sizes, locate the large files and even find and display duplicated files. It’s fast, beautiful and super handy! Discover the largest files on your drive and get a clear idea of your folders structure. Identify files by content type (Pictures, Music, Movies etc.) using colors. Find recently changed files using the Date Modified color mapping. New color scheme option to allow using light color schemes with the Dark Mode. Purple Tree needs a review. Be the first to review this app and get the discussion started! Find, display and manage duplicated files. 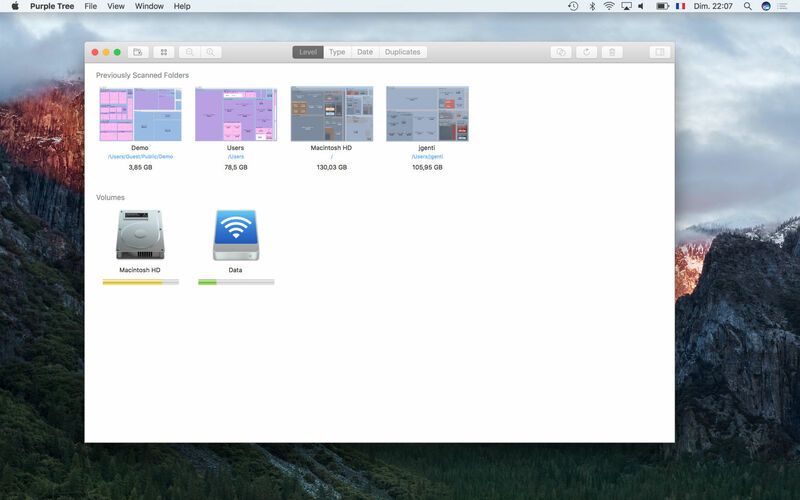 Explore subfolders by zooming in and out. Get detailed information on selected items. Delete selected elements to free up disk space. Scan external drives located in the startup pane. Exclude disk locations you don’t want to scan to speed-up the scan process. Mark previously scanned folders as favorites.